Well, hmmm, Head, you should hire Mansour Bahrami for your commercials, that is real tennis magic! What do you think of this video? please share your thoughts. Murray’s chances were greatly enhanced by the withdrawal of defending champion and world number one Rafael Nadal. That left Murray as the top ranked player in his half of the draw. 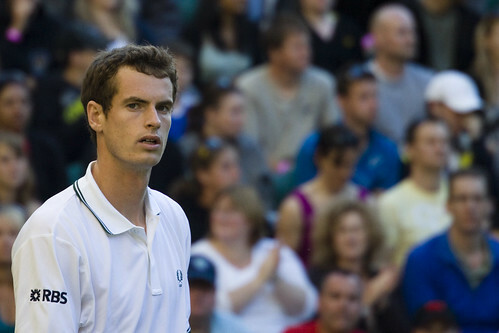 On Tuesday 23th June, at 5.09 pm, Andy Murray opened his 2009 campaign against Robert Kendrick. All British hopes rely on Murray, who could be the first Brit to win the Championships since Fred Perry in 1936. His first round opponent, Robert Kendrick, is a journeyman player, ranked 76 and whose ATP singles record is 15-28. He has only won 3 Grand Slam matches during his career, but the last time he played on Centre Court, in 2006, he lead Rafael Nadal by 2 sets to 0, before falling in 5 sets. 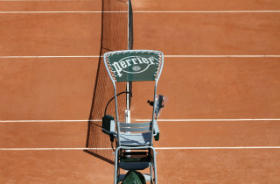 And the match was indeed more difficult than expected, as Murray lost the second set tie-break. It was an entertaining match with big server Kendrick coming to the net as often as possible. But Murray remained solid and focused and won in 4 sets: 7-5 6-7 6-3 6-4. It only took 1hour and 28 minutes for Andy Murray to destroy the talented but lackluster Latvian, who was a surprise quarter finalist at Roland Garros in 2008. The Scot looked like a boss from first point of the match and played a near perfect match, hitting 36 winners for only 5 unforced errors. Murray: “I thought I played well. It was much better than the first match. There weren’t that many moments in the match when I was under a lot of pressure. There wasn’t that much nerves and huge points”. Apparently he is allergic to Murray’s game too: the last time they met at Miami, Murray destroyed him 6-1 6-0. 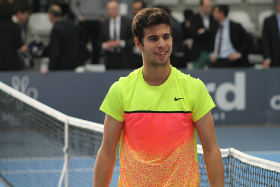 He played again a near perfect match and advanced to fourth round with an easy 6-2 6-3 6-4 win. Interesting stat fact for Murray: everytime he beat Troicki in a tournament, he won it. It was an epic battle for Murray and an historic day for Wimbledon: the day that night play came to Wimbledon. 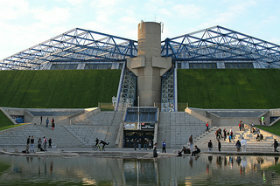 Murray’s fourth round match was played under the new roof (at last!) after a rain shower. Nearly 13 million Brits tuned in to watch Andy Murray’s five set thriller against Stanislas Wawrinka. 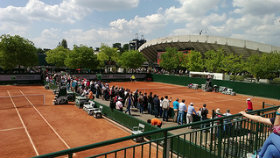 And thousand of fans were glued in front of the big screen on Henman Hill. Wawrinka is a talented but inconsistent former top 10, whose best performances were a win against Roger Federer in Monte Carlo, and an Olympic gold medal in Beijing in 2008 with the same Federer. No one expected the 18th seed to play at such a high level. In fact, Murray had to play at an incredible level just to survive in the match. He finally prevailed 2-6 6-3 6-3 5-7 6-3 after three hours and 56minutes. And all Andy had to say, was he was not happy with the roof. 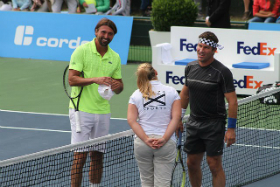 The last wild card to reach the Wimbledon quarter finals was Goran Ivanisevic in 2001, who won the title after an epic 5 five sets thriller against Pat Rafter. But the 2003 French Open champion is not of the same caliber on grass as the big server from Split, and Andy Murray stormed into the Wimbledon semi final for the first time of his career after a victory over Ferrero. 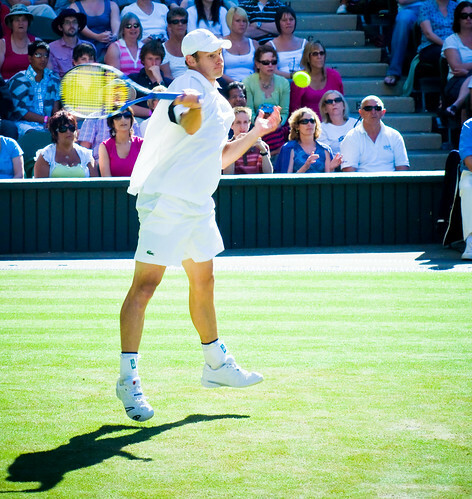 Roddick had lost six of eight encounters with Murray, including the last three. But Roddick was in the form of his life: thanks to his work with new coach Larry Stefanki, he had never been in better physical shape. Fitter, faster, his game has changed , and he’s not only a big serve and an explosive forehand anymore. Murray has grown stronger and matured mentally as well. But Murray was once again way too passive, and the risks Roddick took payed off. Like during his match against Wawrinka, Murray just tried to survive. 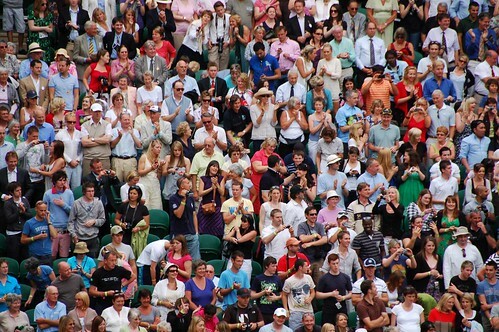 The full packed Centre Court and Henman Hill never seemed to believe in Murray’s victory, neither did he. Roddick dashed Murray’s hopes with a 6-4 4-6 7-6 7-5 win after an impressive attacking game display. Britain will have to wait at least another year to see a home winner triumph. What will be Murray's performance at this year's Wimbledon? 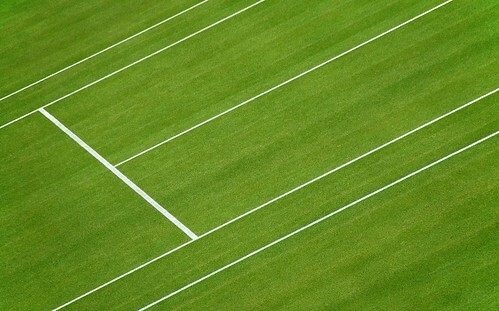 The grass, the queue and the Henman Hill are parts of what makes Wimbledon such a unique sports events, the greatest tennis tournament. ‘Murray Mania’ has spread across UK, following Andy Murray’s historic win at The Queen’s Club, but Brits will have to wait at least another year to end its 73 years drought at Wimbledon as a rejuvenated Roddick ended Murray’s run. Roger Federer became the greatest player in Grand Slam history as he beat Andy Roddick in five dramatic sets for a sixth Wimbledon and 15th major title. The Swiss won 5-7 7-6 (8-6) 7-6 (7-5) 3-6 16-14 to surpass Pete Sampras’s 14 Grand Slam wins and regain the title he lost to Rafael Nadal in 2008. Note for Nike and Federer: the jacket is RIDICULOUS, the 15 jacket is just too much. Roddick was on the verge of retirement after being dumped out of Wimbledon by Tipsarevic in 2008, but his wife Brooklyn convinced him to keep trying. 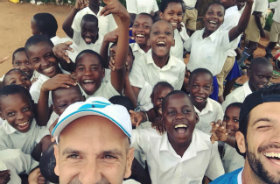 And 12 months after, with the help of new coach Larry Stefanki, he reached his third Wimbledon final after wins over Lleyton Hewitt and Andy Murray. Fitter, faster and with a new variety to his game, Roddick gave it all during a dramtic 5 sets final, but it wasn’t enough to prevent Federer broking Sampras record. 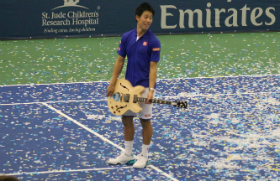 Andy lost the final but won many fans along the way. Lleyton Hewitt caused the tournament’s first upset, the 2002 Wimbledon champion crushed 5th seed Juan Martin Del Potro 6-3 7-5 7-5. Before overcoming the young Argentinian, his losing streak against top 10 players streched back 15 matches. 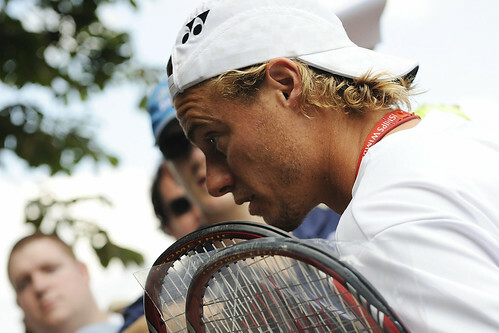 Having returned to full fitness after a career threatening hip injury, Hewitt has displayed a far more relaxed attitude and increased maturity. Supported by the vocal fanatics, he reached the second week for the sixth consecutive year, and his first Grand Slam quarter final in 3 years. Andy Roddick ended his run after a 5 set thriller which was one of the best matches of the tournament. 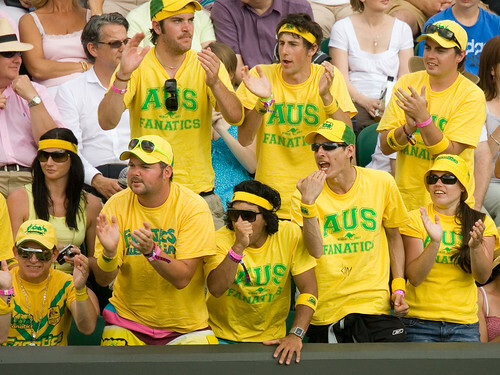 The always vocal and colorful Fanatics boosted Hewitt’s and Stosur/Stubbs Wimbledon campaigns. 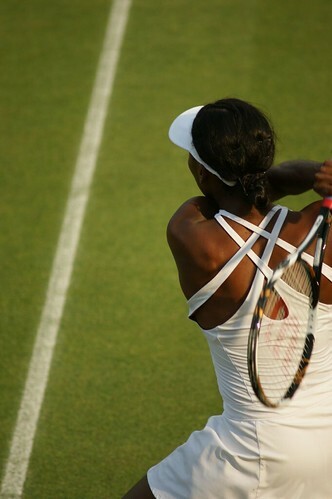 It was an all-Williams affair in finals again, but this time the younger sister prevailed. 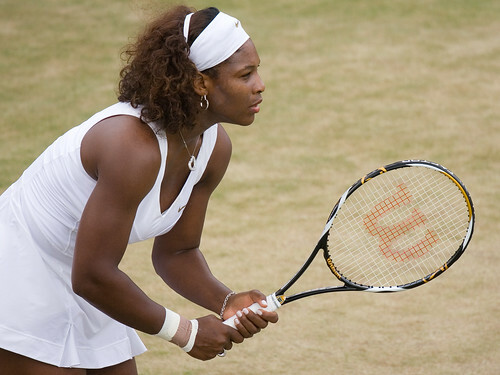 She won her third Wimbledon title (and first in 6 years) by beating sister Venus in straight sets 7-6 6-2. Only one semi-surprise today: Tomas Berdych’ victory over 4th seed Andy Murray. – Schiavone, Wozniacki, Dementieva and Petrova are through to quarters. Henin finished off her match against Sharapova, she will meet Sam Stosur in round 4. – Federer, Soderling, Berdych defeated their opponent in straight sets. It was even more easier for Youzhny: Tsonga retired after the loss of the first set due to injury. 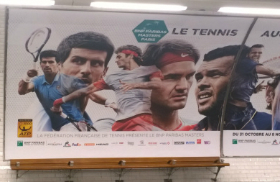 Join us tomorrow on Tennis Buzz for our French Open live coverage.